Elite Modern is firmly committed and driven by a passion for original design. We have been producing innovative and exceptional modern furnishings in the USA since 1988. We have earned and established an unparalleled reputation for sensational designs, superior construction, and outstanding value. Elite utilizes a sophisticated combination of materials including brushed stainless steeel, powder coated metals, solid woods and veneers available in numerous finish options. We also offer a multitude of fabrics, leathers, and UltraSuede choices to enhance the uniqueness of our diverse product assortment. Elite controls every phase of our products, from design and development, to the final delivery. This ensures the superior quality that Elite Modern has been recognized for, and keeps our delivery times reliable and regular. We have a strong collaboration with many of America's top designers. Elite Modern collections consist of original designs by Carl Muller and Rick Lee. We utilize creative talents along with our unparalleled manufacturing capabilities to provide a comprehensive collection of modern furnishings to the residential and hospitality markets. 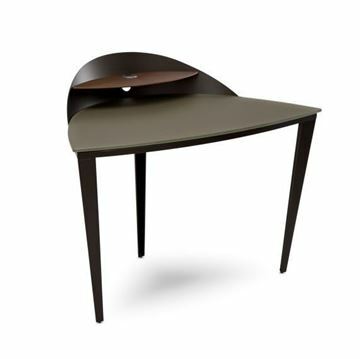 Our collections cover a wide variety of needs, from occasional tables, dining tables and chairs, bars, barstools, home office, and bedroom furniture. Elite Modern's corporate headquarters and manufacturing facility is located in Southern California. Our management staff consists of knowledgeable industry professionals who bring with them many years of successful experience in design, marketing, sales, manufacturing, quality control, and customer support. It is our dedicated vision to provide the best design, value, and service, to satisfy all our customer's needs. We are committed to supporting you in all aspects of our product sales.